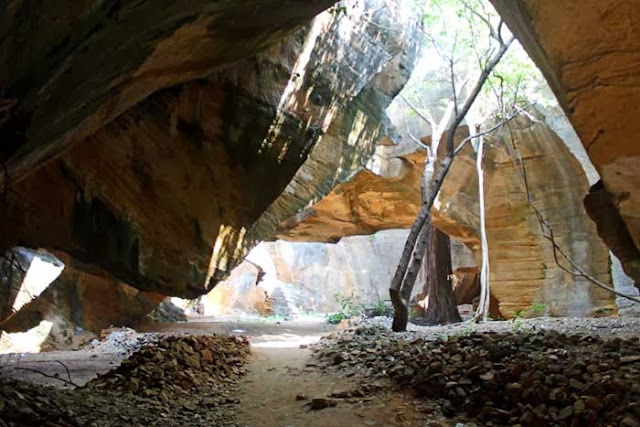 Naida caves in Diu are artificial caves. They are a network of hollows and tunnels on a rocky mountainside. Large slabs appear to have been hewn out of the porous rocks. Material from here was hewn out during the rule by the Portuguese and it is believed that they used it for building material. 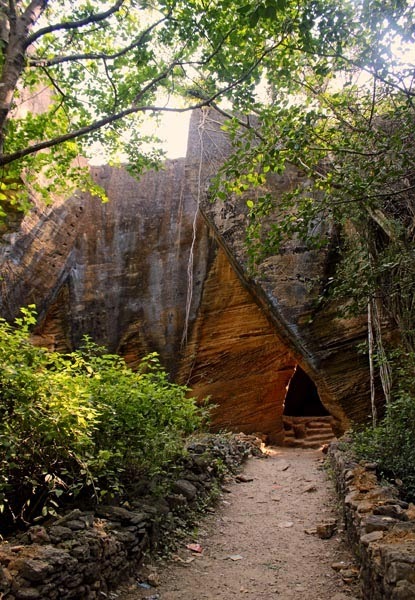 Due to the unique cave like structure of the caves they have become a tourist attraction. There are so many caves that one can get easily lost in them and it is fun exploring them. This is the entrance to the caves and apparently it is formed naturally. A peek inside of the caves. There are openings at the top in most of the caves. It is quite an interesting experience to see these caves. They are huge and very picturesque. 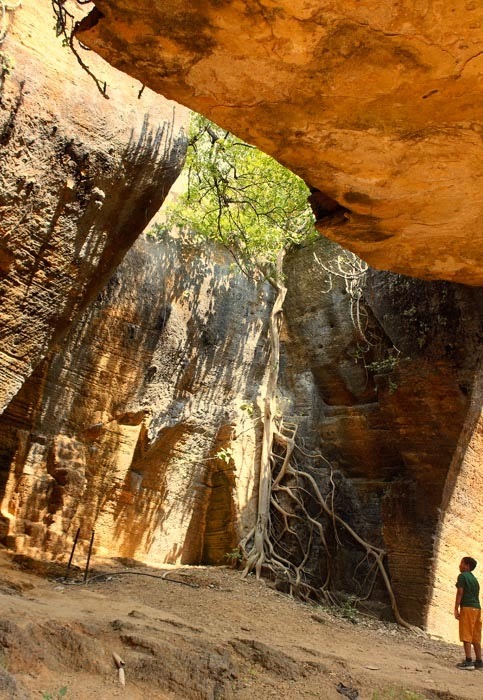 There is no fee to see these caves.